Perfect gifts for you or not you. Made in our studio with recycled gold and conflict-free stones. 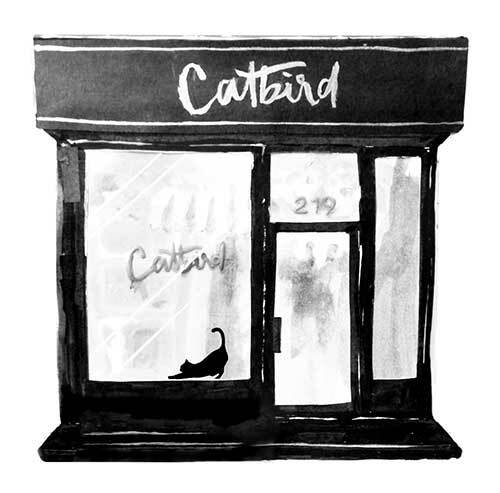 A guide to Catbird classic stacking rings. Easier to wear than you think! The hardest to shop for — made easy. Welcome to the Cat Pack! Will melt your heart into a shining puddle of diamond-y sparkle. We're partial to the celestial. Pearls and diamonds make for instant heirlooms. We love them small and shining, like the stars. The lushest of them all. The light side of the moon. Slightly mysterious, a little foreboding. The most romantic of them all. In kinds of blue like raindrops, jazz, the sea. What we can't stop adding to our stacks. Tried and true for mixing and matching. Put on, never take off. How we love to lounge!